Last weekend, Jay & I took our first trip to Las Vegas, taking advantage of the same seat sale that I used to go East back in September. 🙂 We celebrated our 9th anniversary on Tuesday at Cirque du Soleil, and we watched Penn and Teller from the second row, on Monday night. Sunday was the Grand Canyon. So, this weekend was a fairly quiet weekend at home, and I caught up on my Rose’s Alpha Bakers baking. Mmmm.. bananas. I love banana cake, because it’s a good excuse to eat cake for breakfast. What? Why do you look at me like that? Hey, it’s better than when someone’s broken the build at work and everyone gets doughnuts for breakfast. …with Dreamy Creamy White Chocolate Frosting. Doesn’t that sound heavenly? I’m sitting here finishing off the last lonely piece that my co-workers left behind, listening to the train running by just across the street. This recipe was really easy. The hardest part was probably washing the food processor twice. Once after grating the carrots, and again after making the frosting. …say that 3 times fast. This past Saturday, we had a housewarming party in the form of an open house. We bought our first home in early June, took possession mid July, and moved in near the end of August. We finally finished our first round of renovations a month or so ago, so decided it was time to show people what we’d done. We didn’t provide dinner, but between a few different loaves of bread (with fondue for dipping), individual quiches, and last week & this week’s heavenly cake projects, I don’t think anyone went away hungry. Just a quick note, in case it helps anyone. My white chocolate custard completely seized up on me. I’m talking a big lump of white chocolate on the bottom of the bowl with a soupy mess of yellow butter (probably mixed with cocoa butter) on the top. The more I tried to whisk it back together, the worse it got. 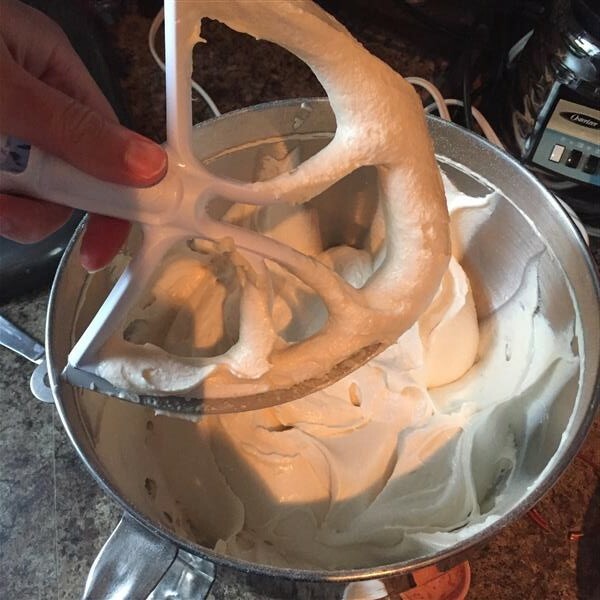 I even tried with an electric hand mixer. Nothing was going to bring that back together. I remembered something I’d seen Alton Brown say: a little bit of water causes chocolate to seize, but more water will smooth it back out again. I thought, “Hm. Eggs contain water, and they’re also an emulsifier. I’m supposed to be adding the eggs to this anyway. 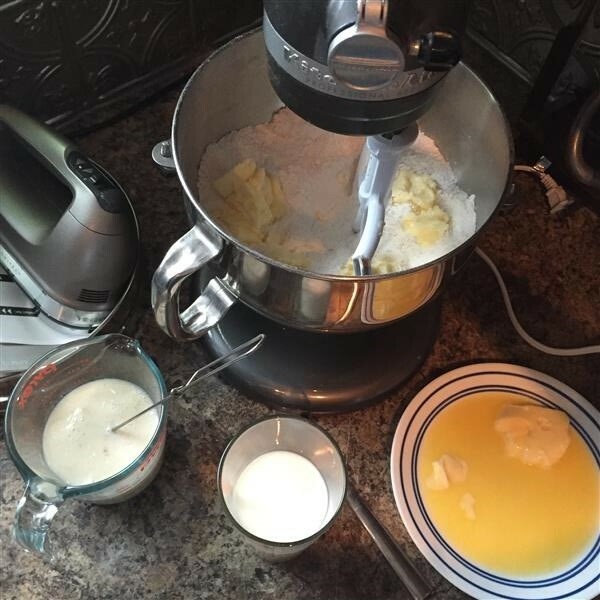 Worst that can happen is I waste the eggs, because the butter and white chocolate are already a total loss.” So, I slowly beat the eggs into my awful, disgusting mess with the electric hand mixer. Tada! Smooth and creamy!